The Matobo Hills is not all about famous hills and majestic scenery. It is also a place where eagles dare. 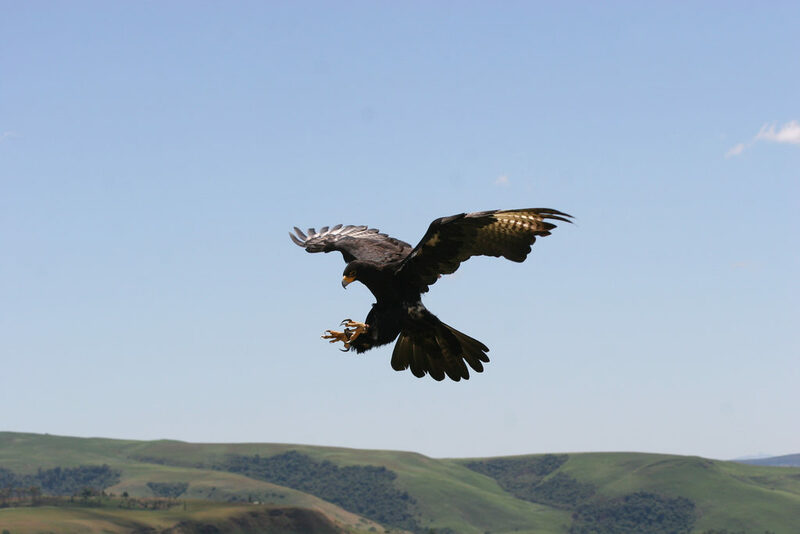 Nearly one third of the world’s 47 eagle species nest in the hills. The black eagle , African fish eagle, crowned eagle, martial eagle and brown snake eagle can all be seen perched conspicuously on trees. In fact, the highest concentration of black eagles found anywhere in the world is in the Matobo Hills. These birds of prey hunt and feed on small mammals, fish and reptiles. They have keen eyesight for detecting their prey at a distance or during flight, strong feet equipped with talons for grasping or killing their catch, and powerful, curved beaks for tearing flesh. Eagles play a vital ecological role, similar to that of land animals such as cats, which use supreme hunting skills as a means for survival. Each eagles’ hunting technique reflects habitat. This makes some eagles specialist hunters, pouncing on a specific species of prey, whilst others are more of generalist pouncing on mammals, reptiles and birds in the wild. Here is a selection of five types of Eagles you are likely to see on a standard game drive in the Matopos National Park. 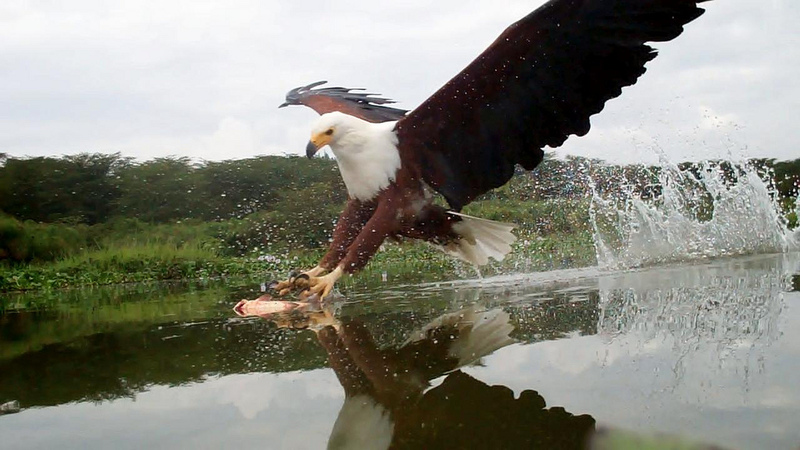 The African fish eagle can be seen along the waterways and dams of the Matobo Hills. The fish eagle is a large bird with conspicuous black and white chestnut plumage. It hunts waterfowl and often pirates food from other birds, using its particularly sharpened scales on its feet that help grip the slippery catch. This predator may spend just about 10 minutes per day hunting, in order to meet it’s nutritional needs. This bird is one of the most ferocious hunters on the African skies. It is common in the wooded valleys of the Matobo area. With a mass of between 2.5 – 4.5 kg, this bird regularly kills prey heavier than itself. 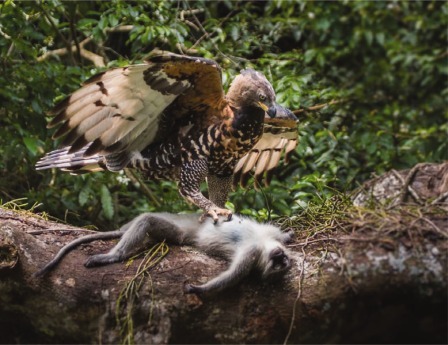 Forest mammals like monkeys and duikers weighing about 25kg and even domestic cats are never safe when this eagle is in the vicinity. Thanks to its massive talons, this bird , sporting a signature crested head and chestnut underwings is one of the most powerful predators in the Matobo Hills. This large eagle feeds on rock hyraxes which it captures by flying low on the hillsides of granite mounds in Matobo. The rocky, mountainous terrain of the Matobo Hills actually makes this bird thrive. It is all black excerpt for the white rump, white ‘V’ on back, and bright yellow bill and feet. This is Africa’s largest eagle, with a wingspan that may span up to 2.2 metres and a mass of 6kg. 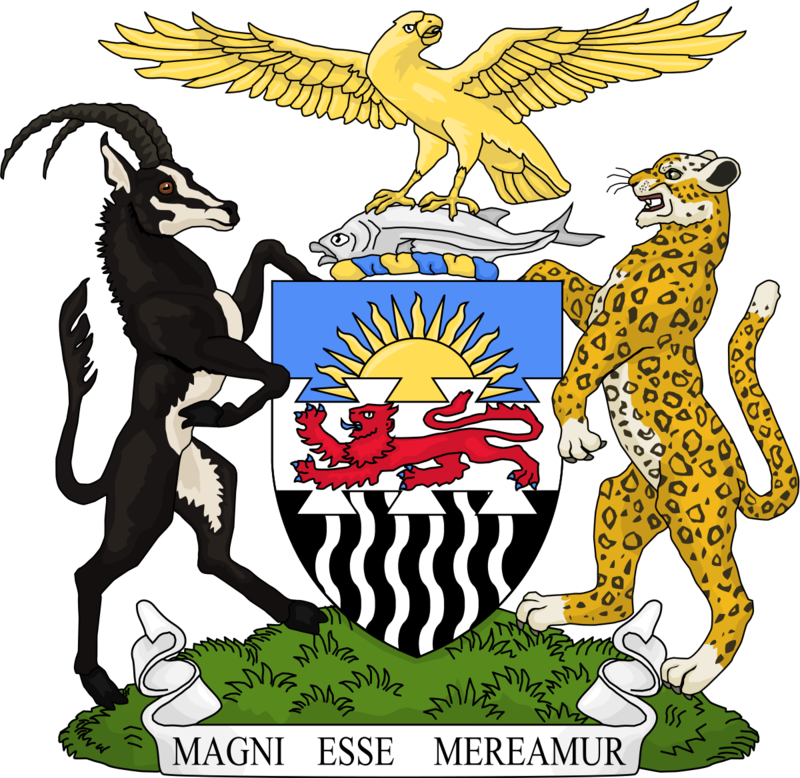 It is widespread throughout the Matobo area and feeds on monitor lizards and guinea fowl. 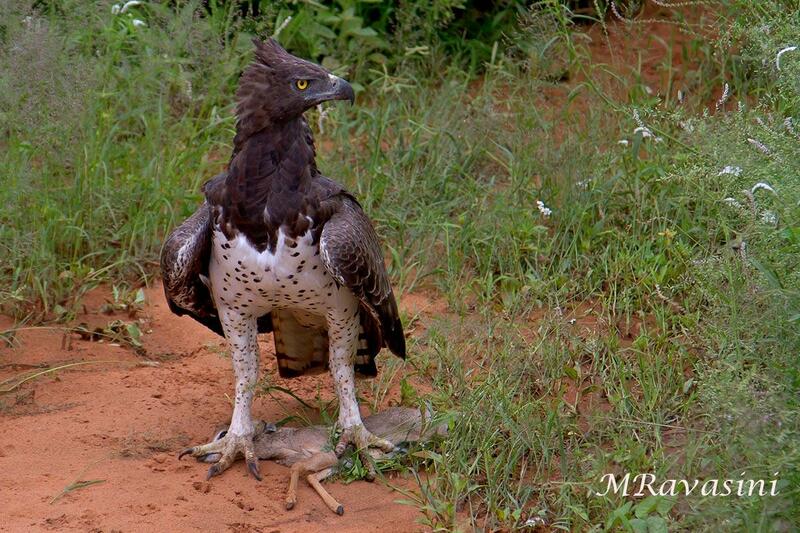 Sometimes, the Martial eagle pounces on mammals up to the size of a small antelope. In soaring flight, it shows broad, vulture like wings, and white belly that contrasts with otherwise dark underside. Snake eagles are drawn to the hills by the reptiles that abound. 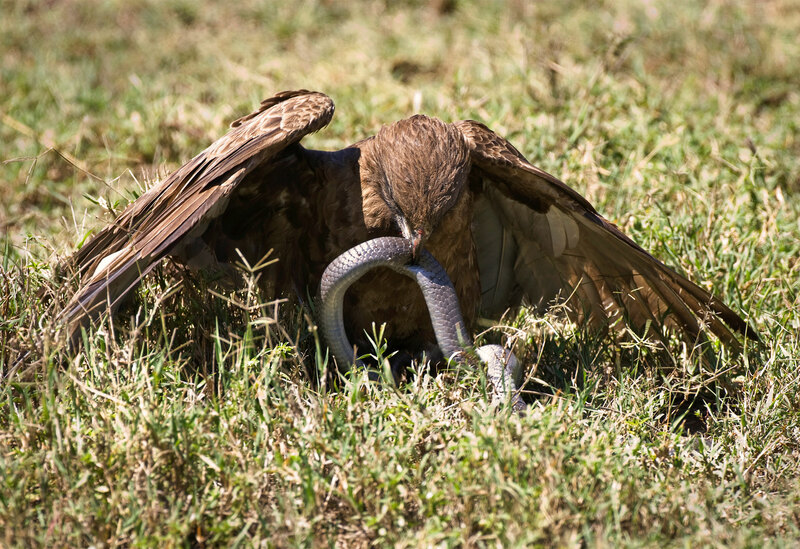 The Brown snake eagle is the largest of five types of snake eagles. It is commonly seen perched on bare trees, ready to pounce on mambas and cobras (up to 1,5 metres long ), puff adders, and even lizards. This eagle, with an owl-like head and piercing yellow eye has thickly scaled legs as protection from the deadly bites of its serpent prey. 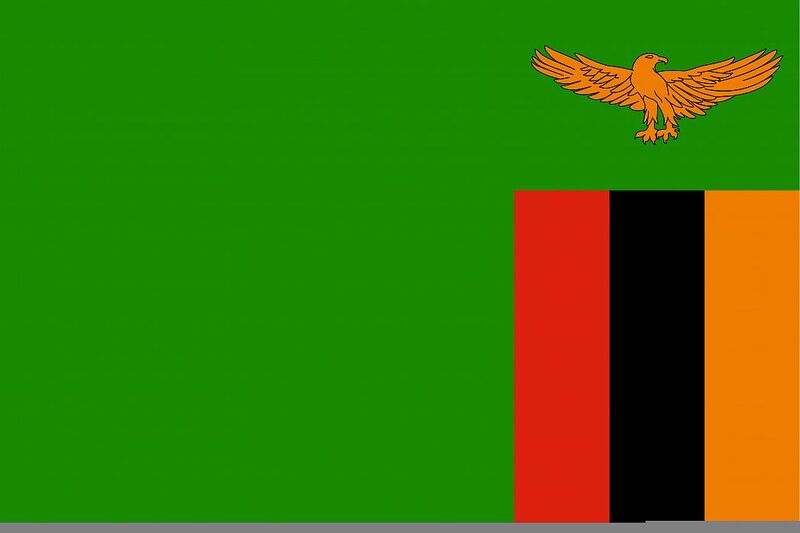 Eagles as emblems of Zambia, USA and former Federation of Rhodesia and Nyasaland. The formidable prowess of birds of prey lend them emblematic status in human culture. 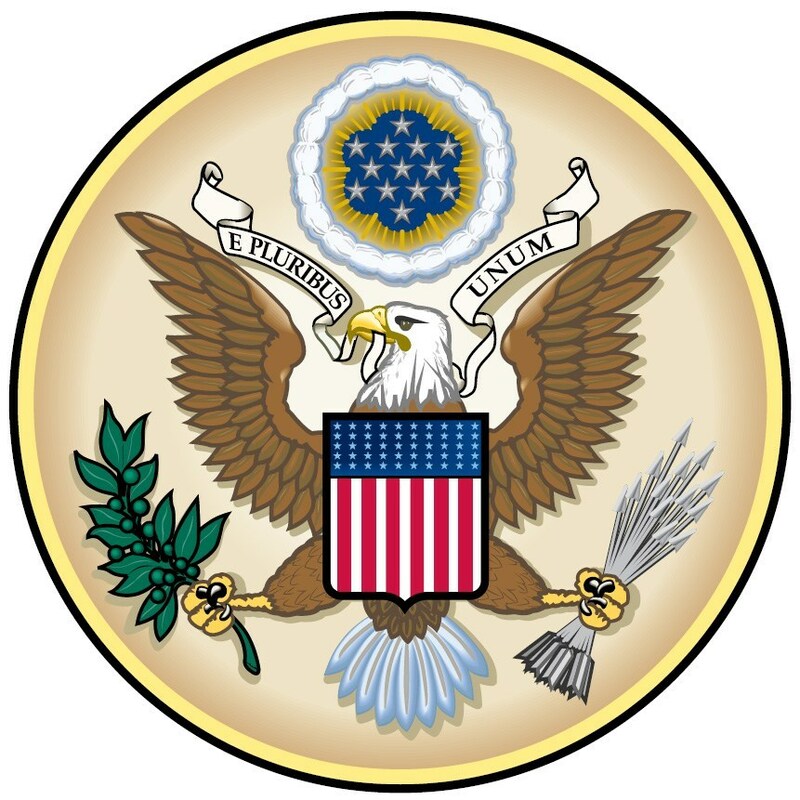 They are national seals and symbols of nations all over the world. The African fish eagle alone is the national symbol of five nations. A Safari in the Matobo Hills will turn you into a bird watcher given the number of species that dominate the skies.